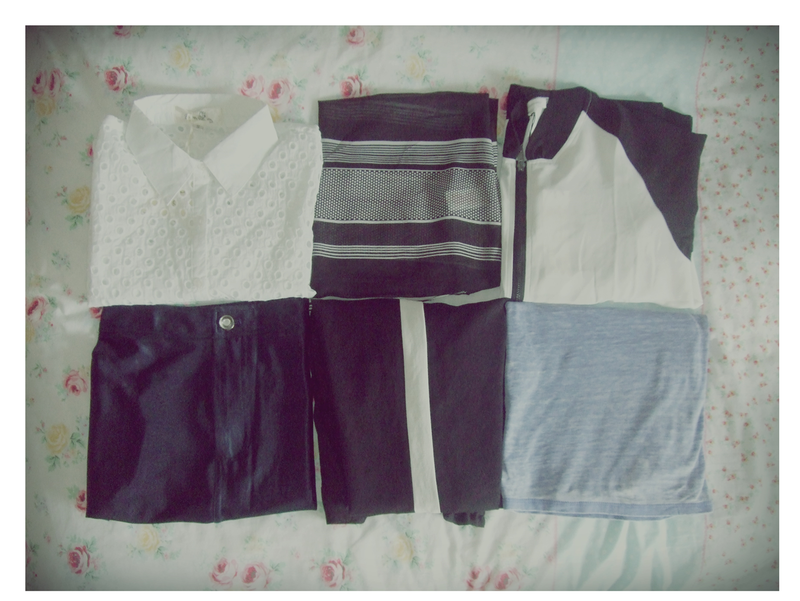 I've had no self control this week in terms of giving in to spending on clothes (maybe the heat's got to me), I've got to curb my spending for the rest of the summer to gear me up for my second year at uni! It always seems to be sods law that when you need to save money you see tonnes of stuff you love that's relatively affordable but when you need to buy a specific outfit or have an allowance for clothes, there's an abundance of desirable stuff! I went shopping the other day with my best friend, intending not to spend money but I couldn't help myself with some of the stuff I saw and convinced myself at the time that the purchases were justified because I'm working. I haven't bought many accessories for ages as I think I'm quite particular about what I like but here's my haul of accessories. 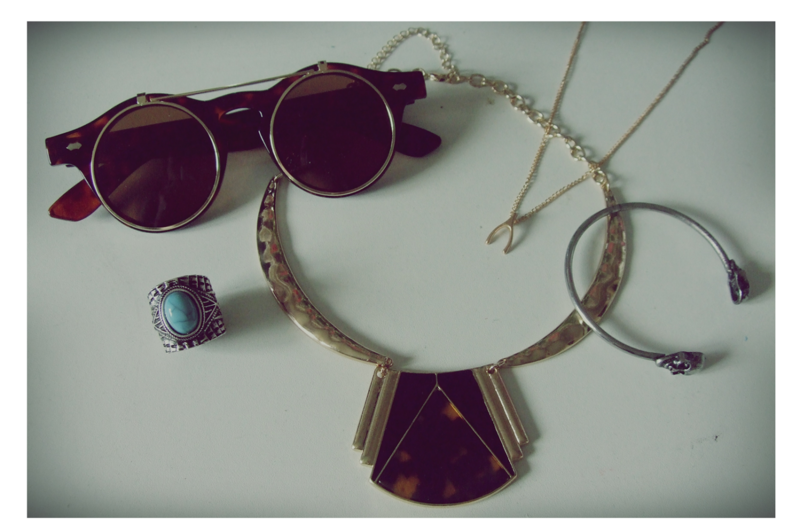 I LOVE tortoiseshell accessories as you can see from the sunglasses and necklace; the sunglasses flip up and have such a cute retro feel. The sun better come back so I can wear them though as it's been chucking it down all day, as I'm sure the most of the UK has. I've seen a gorgeous tortoishell clutch in H&M that I wanted so badly but refrained from buying it because of its price tag. I'm not the biggest necklace gal but have always been a fan of the circular style and so grabbed this necklace with both hands at £3! 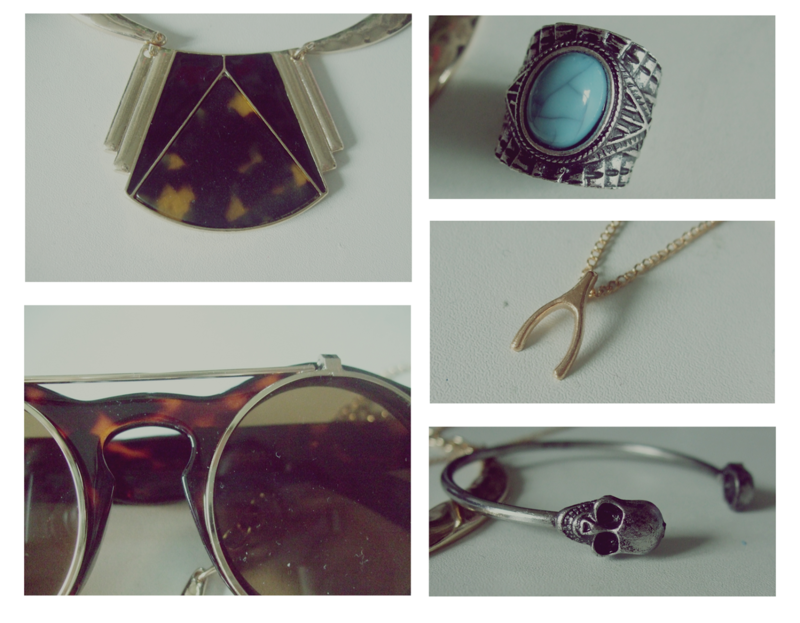 The turquoise ring's been added to my collection. I probably wear rings the most accessory-wise but lose them all too often on nights out and loathe myself the next day! You may have noticed I buy the majority of my accessories from eBay; there's nothing more satisfying than uncovering ace bargains online. Although I definitely have to be in the mood to scour the internet and create search after search, it pays off doing this every now and again. I've also a few more accessories from eBay on their way from China at bargain prices which I'll be sure to post about when they arrive. 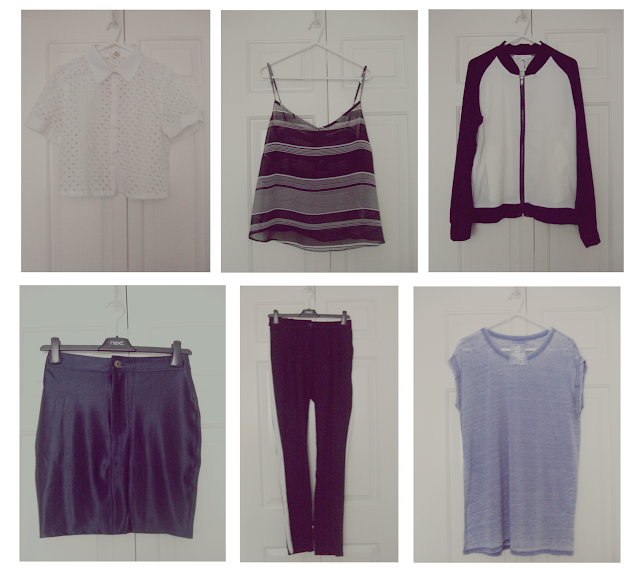 Fashion Union's existence had completely slipped my mind til my friend showed me some bits she got from their sale. I impulsively bought a few bits from their sale that evening and regretted it straight away, feeling slightly guilty of my lack of spending resistance but upon their arrival I 100% retracted these feelings. I went a bit mad on the monochrome front this week but I thought I'd jump further onto the ever-growing monochrome bandwagon. I love how the monochrome bomber jacket and trousers match somewhat, I hope I'll be brave enough to wear them together. I've always liked disco leggings and pants but have never bought a pair because of how popular they've become and because I don't think they'd suit my short average frame. Seeing this disco skirt though on the other hand was calling my name figure and money wise! I should think I'll post about some of these items in the future, more so in outfits and everyday life. I just discovered your blog from your comment on Chlo-Lea's blog, and I'm so glad I did! 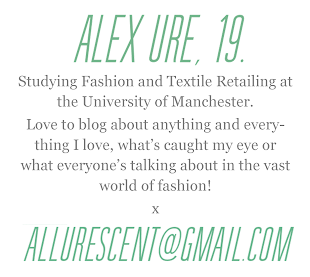 :) I love meeting other eighteen-year-old bloggers too! I don't see too many bloggers our age, as most are either younger or older! Oh my goodness I am OBSESSED with your new sunglasses! *_* They're so retro and cute, and I've always wanted a pair like those! I recently got a pair of sunnies but it broke already within a few uses! 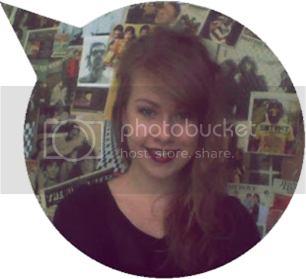 :( So I'm on the search for some new cute, retro-esque sunglasses! Do you have any suggestions on Ebay? I don't order too frequently from there, but there are a lot of nice things on there! And your turquoise aztec ring is just gorgeous! <3 I recently got a similar ring on my vacation and I love wearing to add a pop of color, and it really gives your outfit a bohemian vibe too. I love it! To be honest, I've never been into disco leggings eitther because I'm very petite and my frame is rather too muscular to pull off the disco pants look. I didn't know there were disco skirts though... that's awesome! :) I can't wait to see how you style them! I'm your newest follower! <3 Hoping we can stay in touch! I love tortoiseshell too! That necklace is gorgeous and such a bargain! I really love the little short sleeve shirt too. So feminine and chic. I'm a huge fan of monochrome so everything you bought is right up my street.